The University of Waterloo is where Engineers Without Borders first began. Throughout the years, our chapter has ran Kiva Cups, advocated for Fair Trade, and hosted countless Kumvana fellows. It’s a fantastic community filled with people who love to think systemically and make social change in the world. Our chapter has multiple portfolio projects running: these include Youth Engagement, Education, and Podcasts. Youth Engagement has been running workshops in primary and secondary schools, to teach them about important issues like water access worldwide as well as what engineers do. 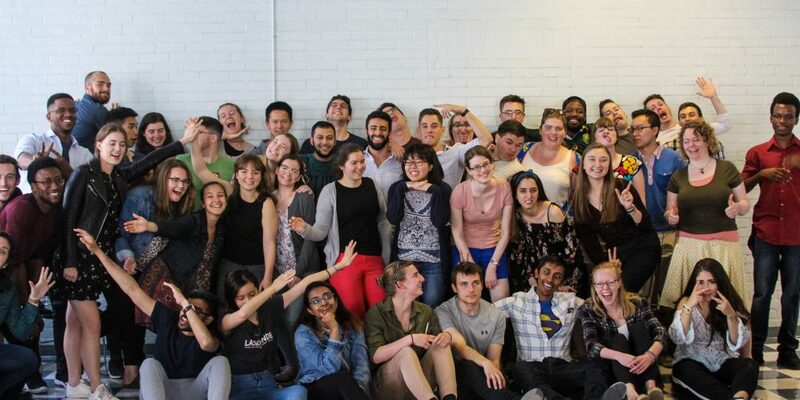 Education is currently working on designing a Waterloo course called ME 100, introducing new case studies to better engage students with social impact as engineers. Podcasts are looking to introduce the idea of systemic thinking through issues found around Waterloo. If you come to any of our planning meetings, you can have the chance to work with other EWBers on these projects. EWB UW allows you to put in as much or as little time as you desire. We understand that the UW life means that constant assignments, exams, and co-op interviews, which doesn’t leave much time for extracurriculars. However, EWB is a great way to take a short break in your week, and have some fun discussions with new people. We’re not just for engineers! We have members and executives from the Faculty of Mathematics, Arts, and others.